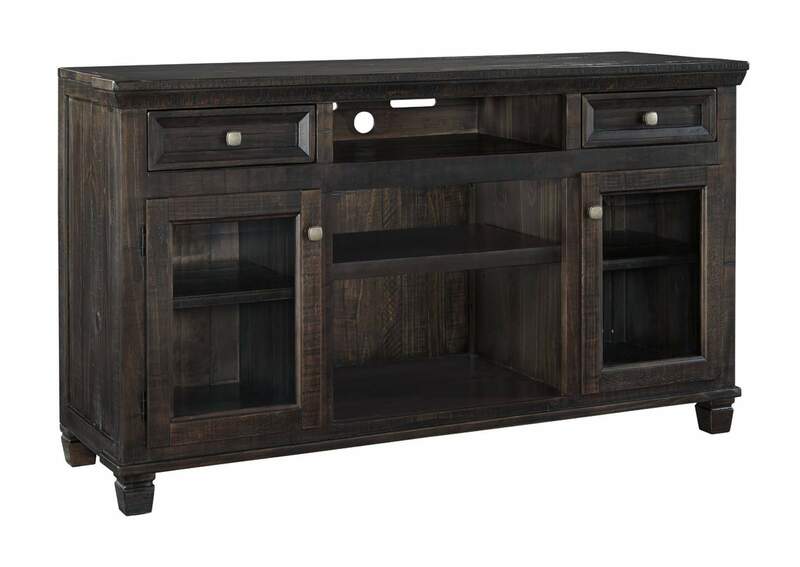 Inspired by the timeless appeal of American classic furnishings—where clean lines, sturdy silhouettes and thoughtful detailing speak volumes—the Townser TV stand revisits tradition with newfound flair. 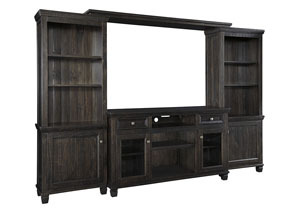 Rough milled pine wood is naturally textured and enhanced by a deep finish with gray undertones. Pop out the TV stand's removable center shelf and pop in the LED fireplace insert for added warmth. Also compatible with our audio system insert. Both sold separately.